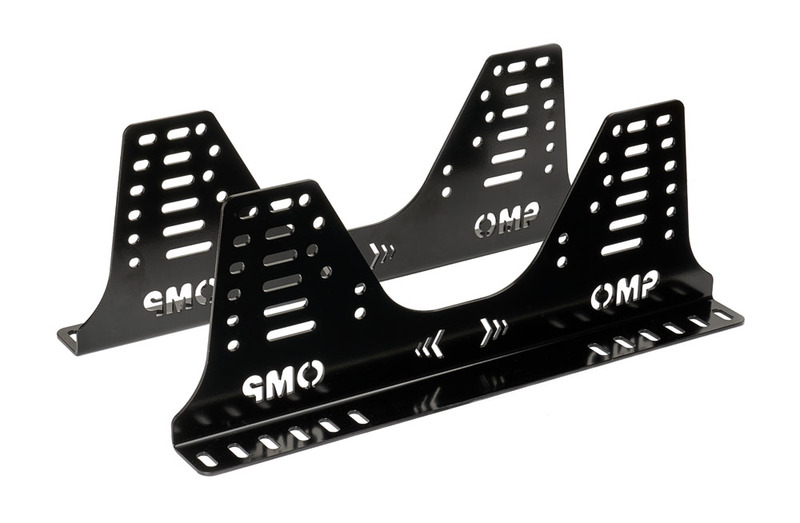 Pair of OMP ultra strong steel brackets to attach side mounted seats to subframes or seat rails. Dual row lower mounting holes "A" for multiple adjustment of height and angle. 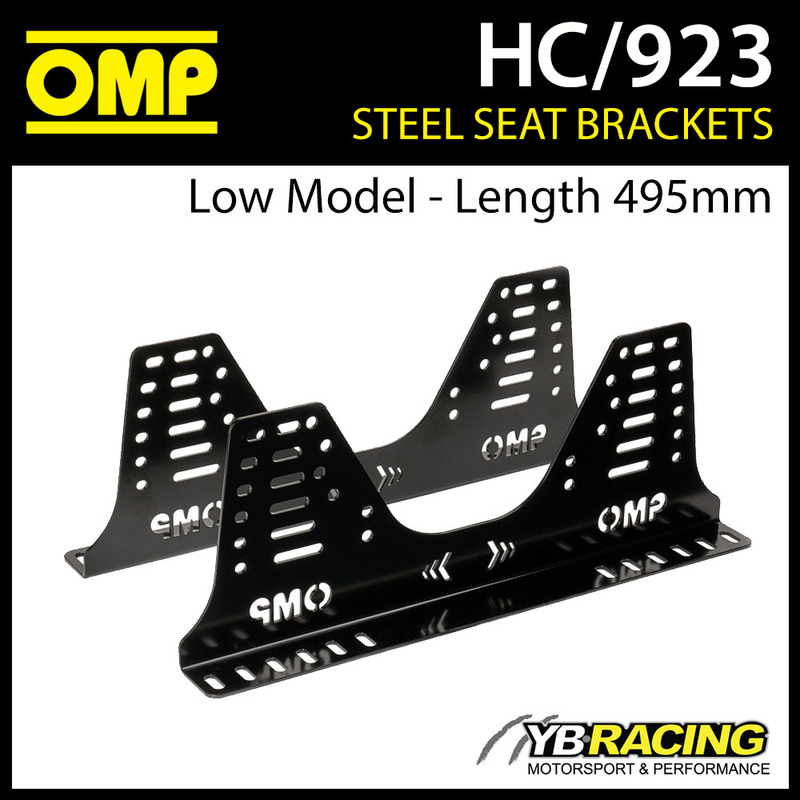 The contours of the OMP brackets have been designed so as not to interfere with the seat belt openings, edges or bottom of the seat. 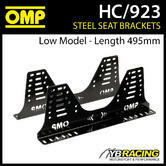 Description: Pair of OMP ultra strong steel brackets to attach side mounted seats to subframes or seat rails. Dual row lower mounting holes "A" for multiple adjustment of height and angle. The contours of the OMP brackets have been designed so as not to interfere with the seat belt openings, edges or bottom of the seat.